A Superwinch Talon series winch is exactly what you need to get you unstuck from any mud hole, or rock jam when you are cruising off-road. Line pull ratings ranging from 9,500 lbs to 18,000 lbs there is a winch to suit your needs. Talon series winches have a special steel drum using high tensile material to resist the wearing caused by the optional synthetic rope. The dual stop brake is located inside the gear box away from the drum to keep heat transfer to a minimum. A vented, submersible VS4 solenoid is one of the best ever created. The entire winch is sealed to prevent damage from dust, dirt, mud, snow and water. The hand held remotes also feature a sealed design and meets the tough IP67 standards. Superwinch Talon series winches do come with a roller or hawse fairlead and a heavy duty clevis hook. The 10" x 4.5" mounting pattern is standard and will fit most winch mounts. Get winching today with a Superwinch Talon Series winch! 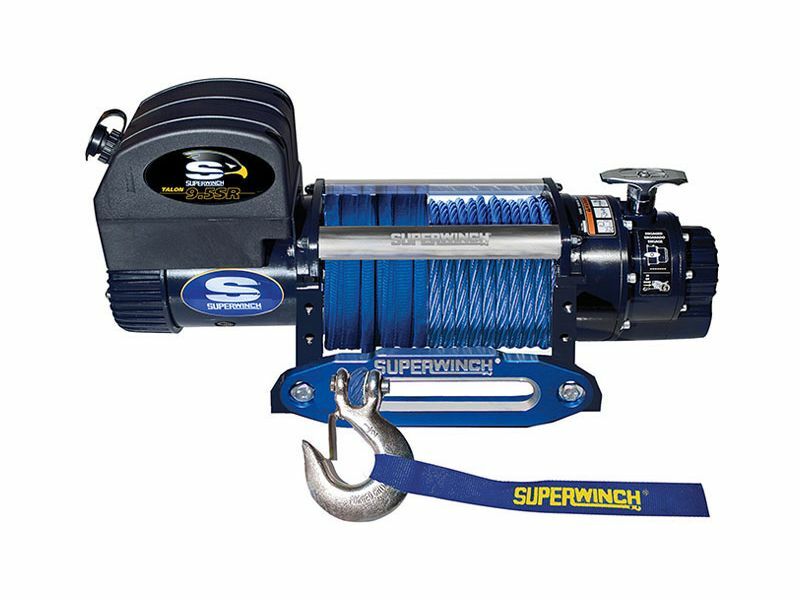 Every Talon series winch by Superwinch carries a lifetime warranty with a 3 year warranty on all electronic components. For further details please call our customer service team at 1-877-216-5446. Superwinch Talon series winches have the standard 10' x 4.5" bolt pattern and will mount to most winch plates and mounts. For further information see the instructions below or call 1-877-216-5446.